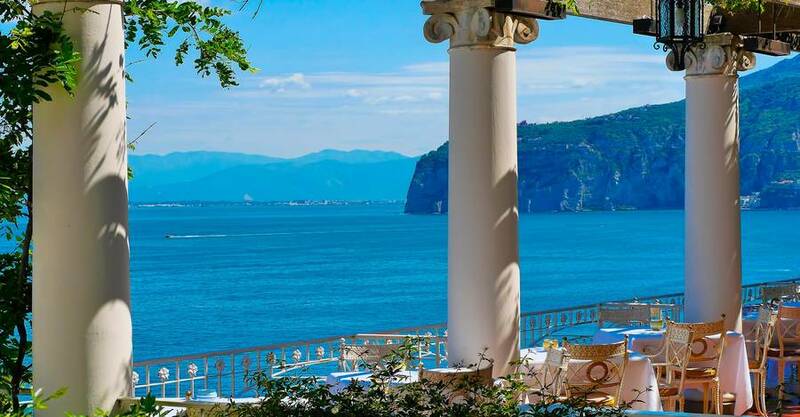 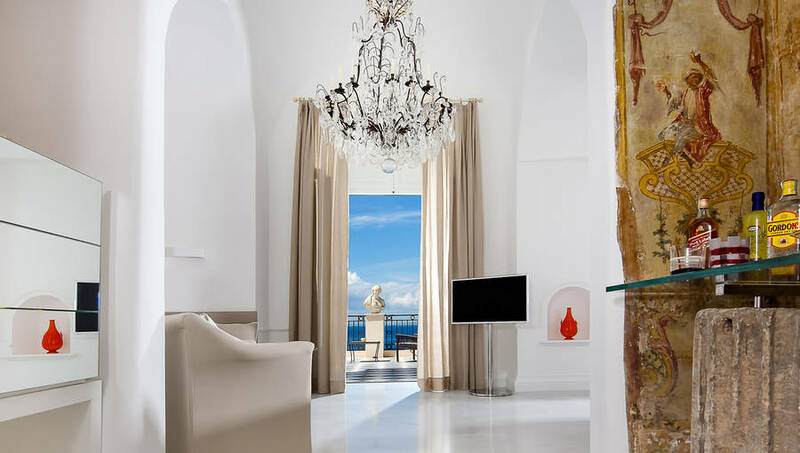 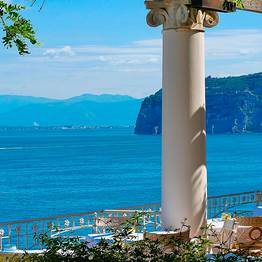 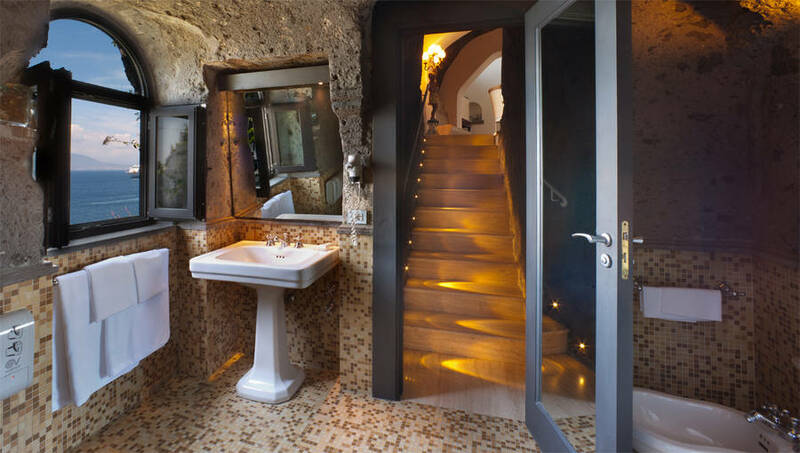 One of Sorrento's most exclusive luxury hotels, Bellevue Syrene is located in the most scenic spot along the coastal cliffs directly above the Mediterranean. 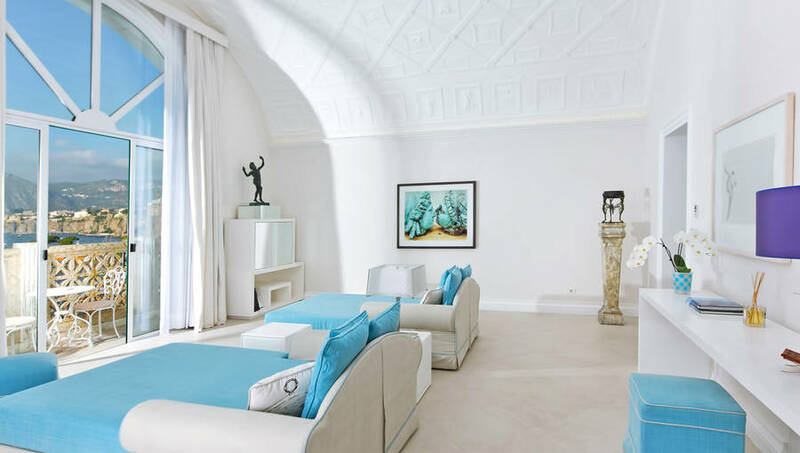 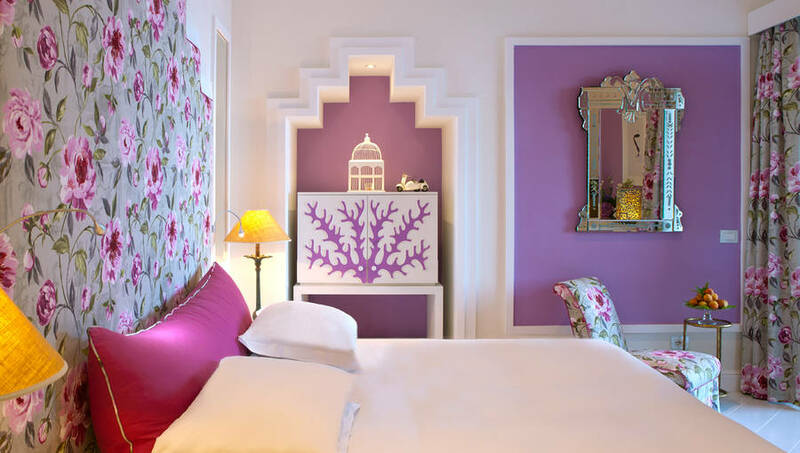 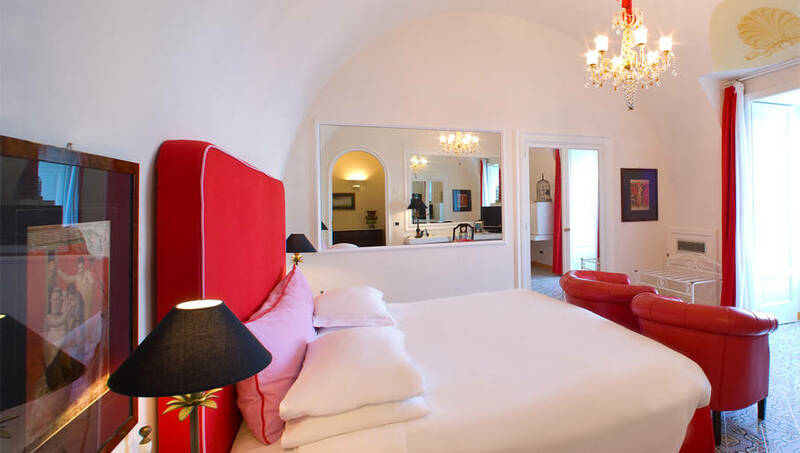 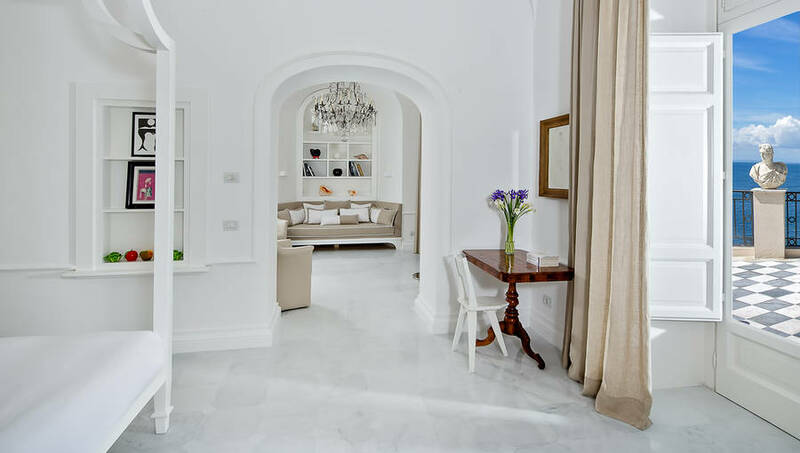 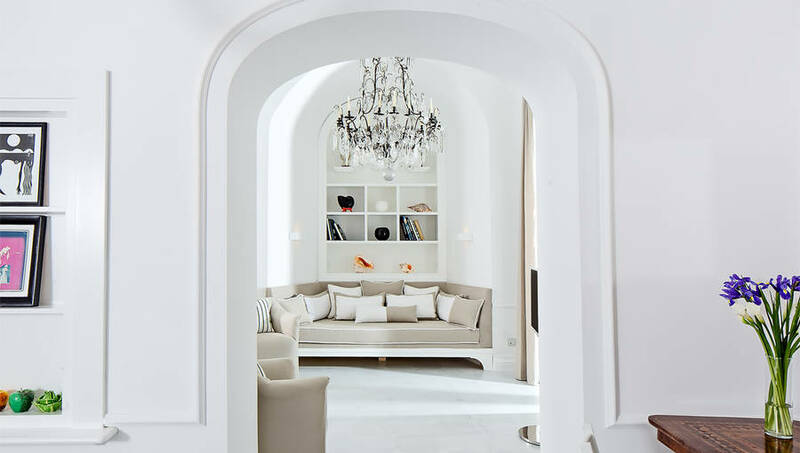 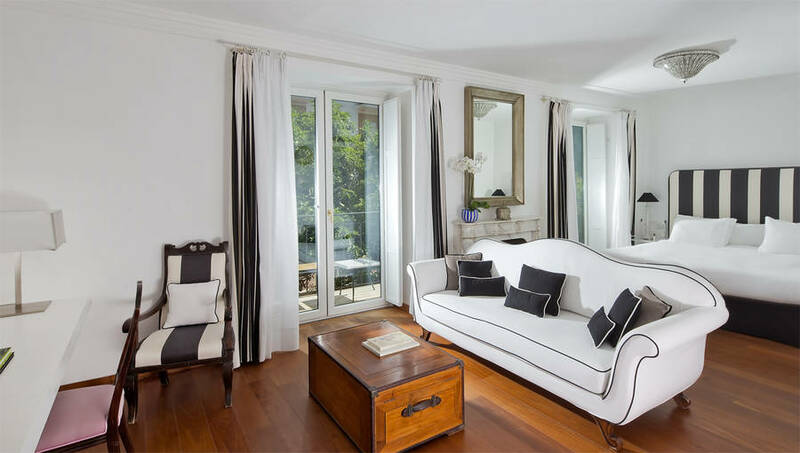 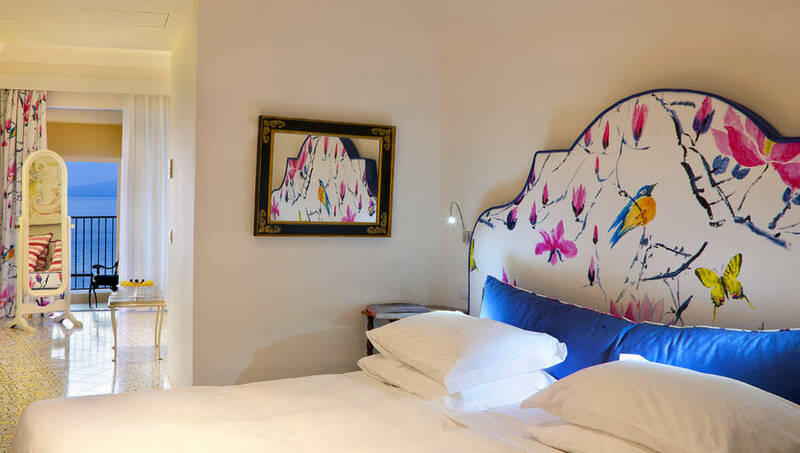 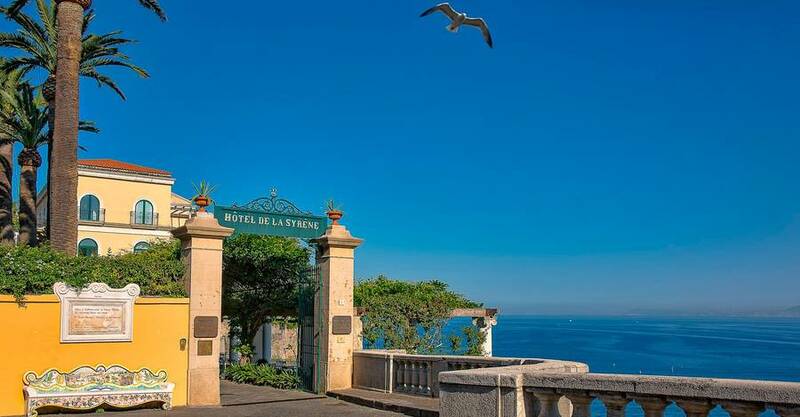 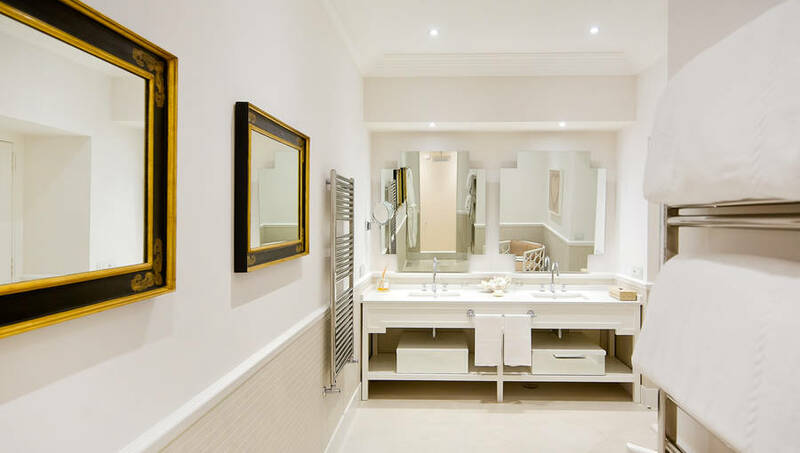 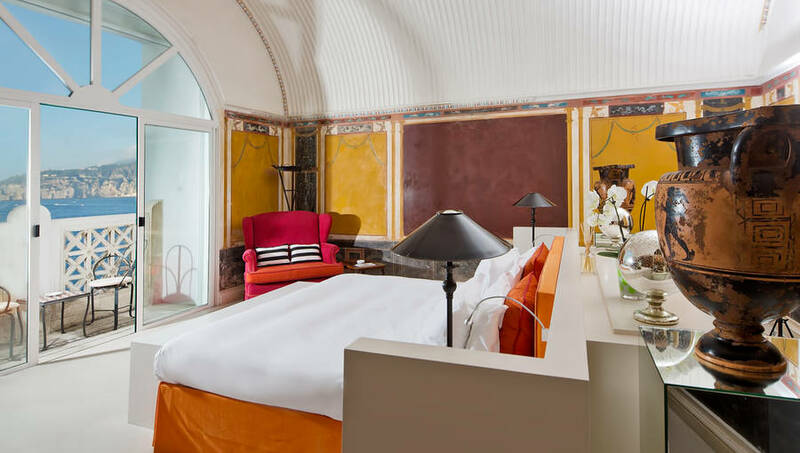 An elegant historic villa, this iconic hotel has welcomed a number of celebrity and noble guests over the past two centuries, inlcluding the Empress Eugenie of France and Marguerite Yourcenar, who it is said penned Coup de Grâce during one of her stays. 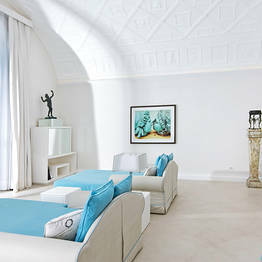 Bellevue Syrene's sumptuous halls are breathtaking, decorated with ornate frescoes and antique furnishings; the elegant Villa Pompeiana is one of the most sought after venues for gala dinners and wedding receptions along the Italian coast, with its two ornate halls and Pompeii-inspired colonnaded terrace. 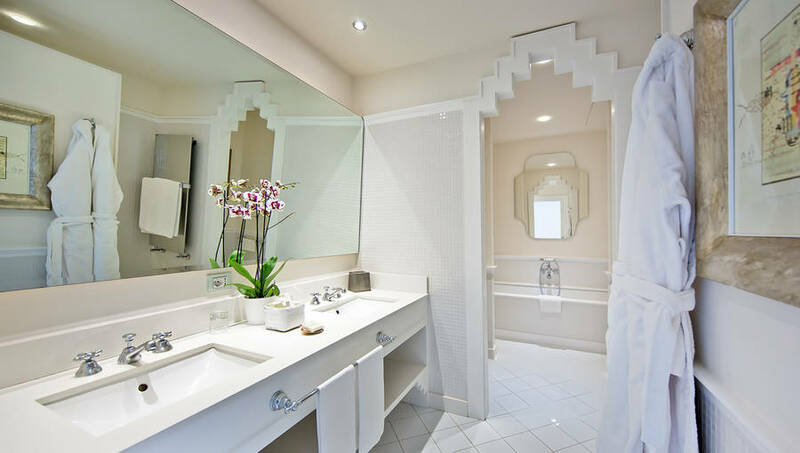 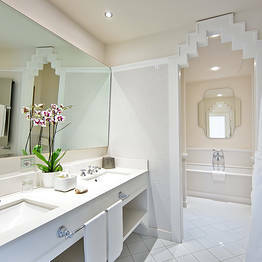 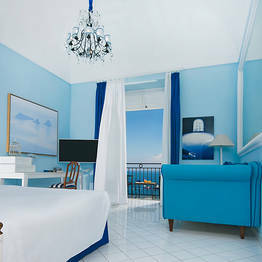 The original rooms and suites are continually upgraded and refurbished, maintaining their historic elegance while offering the best in modern comfort with their sophisticated blend of classic and contemporary decor. 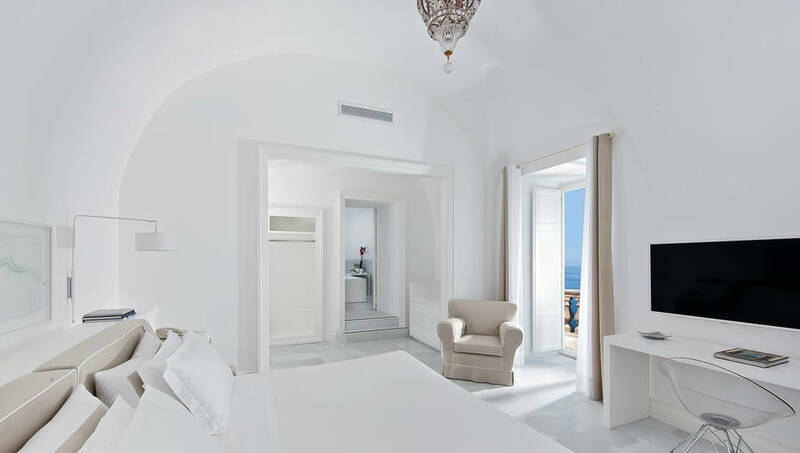 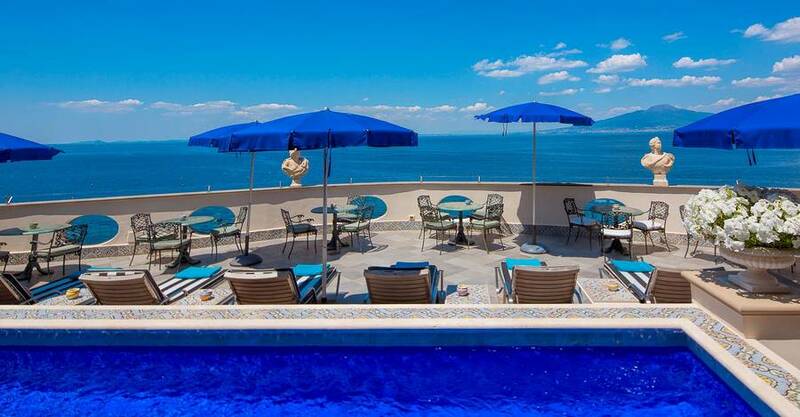 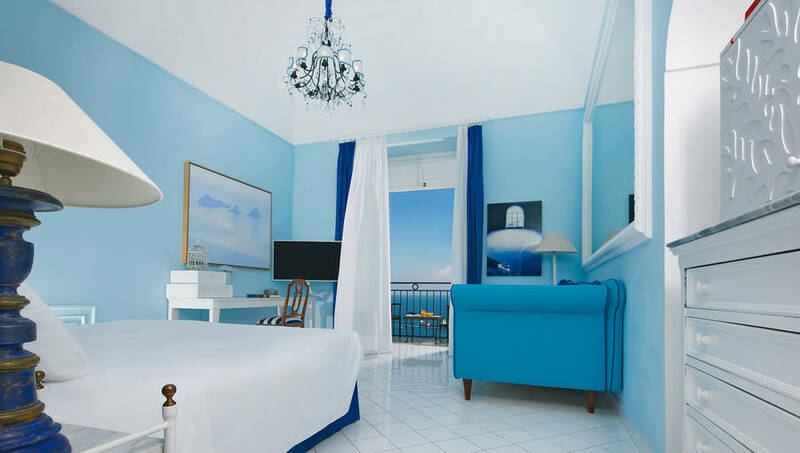 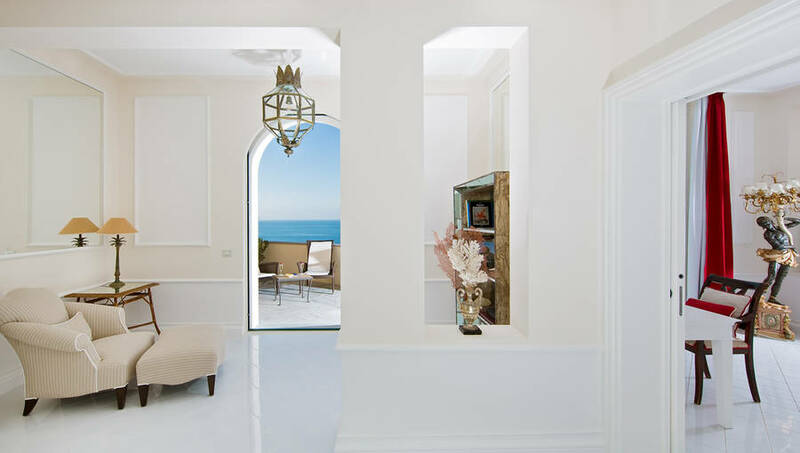 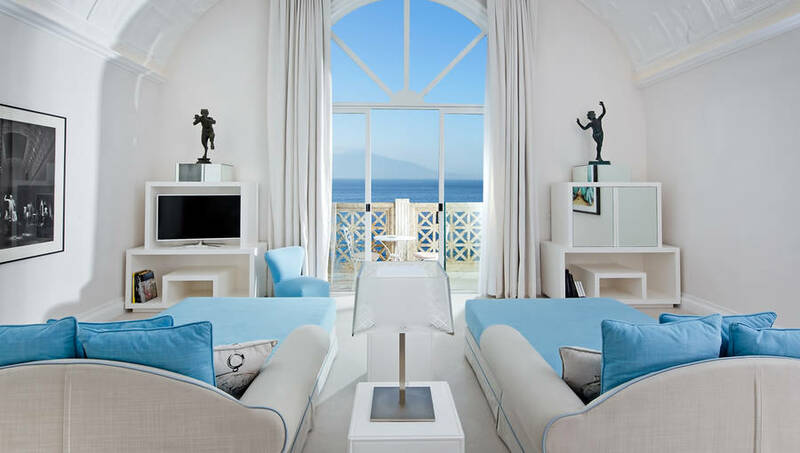 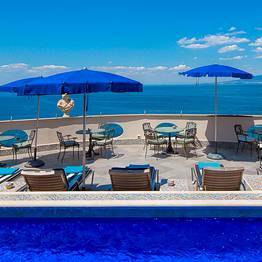 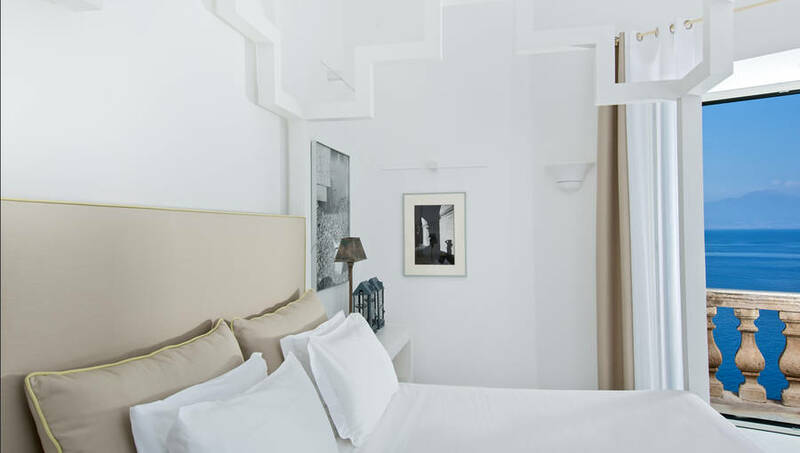 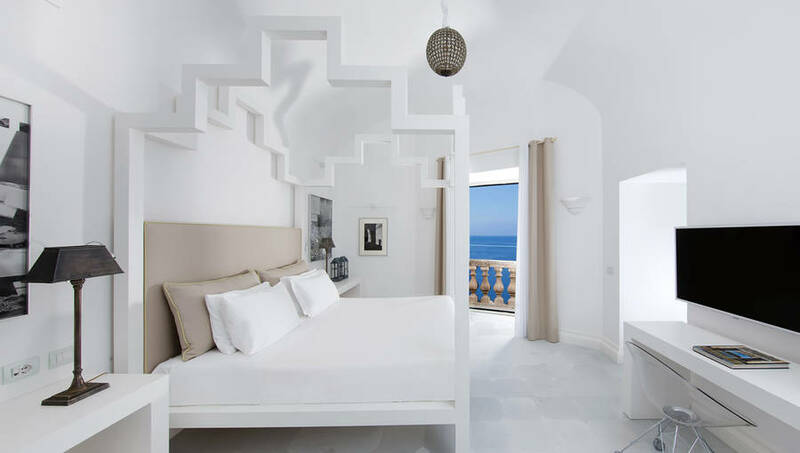 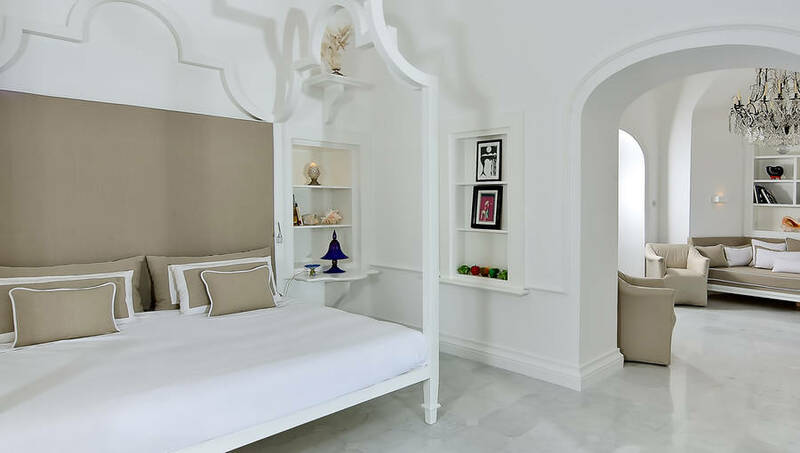 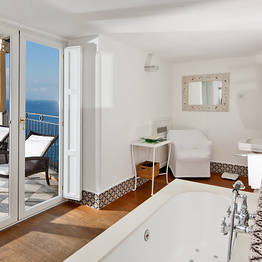 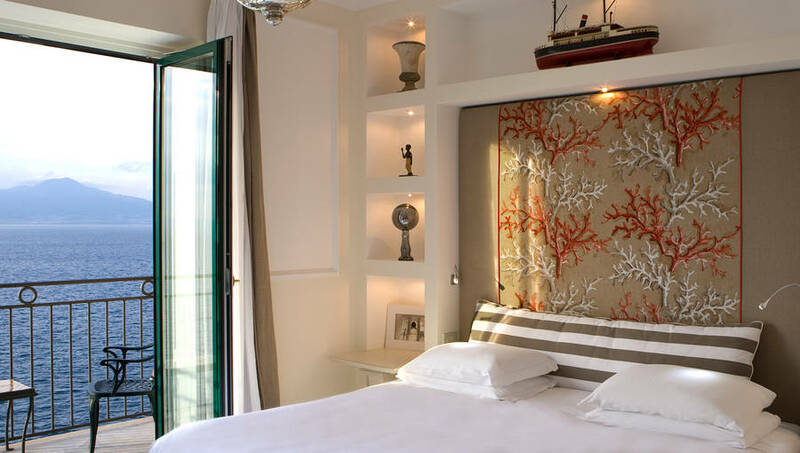 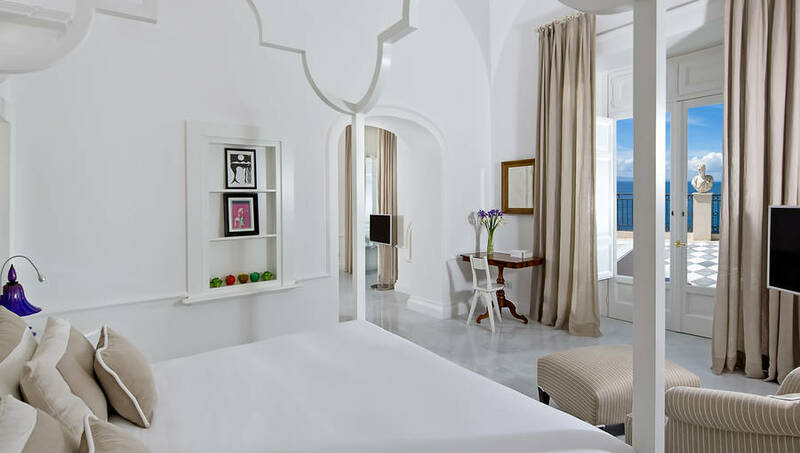 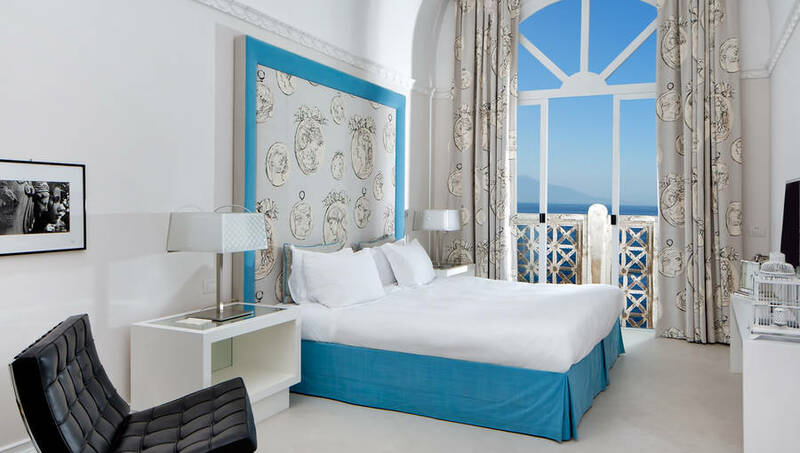 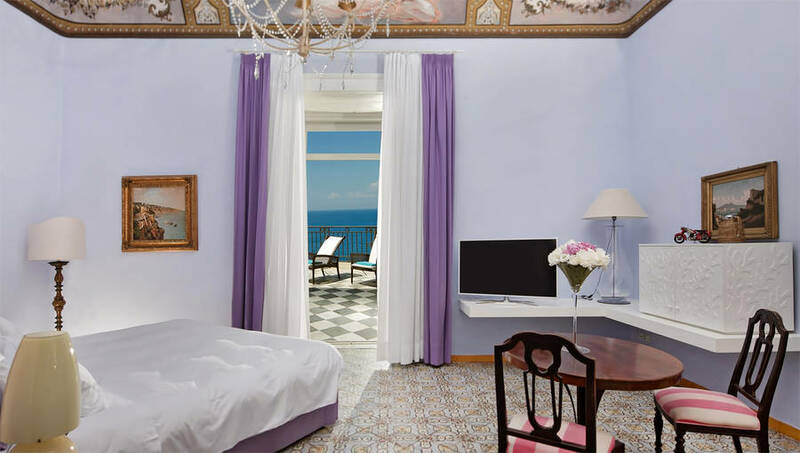 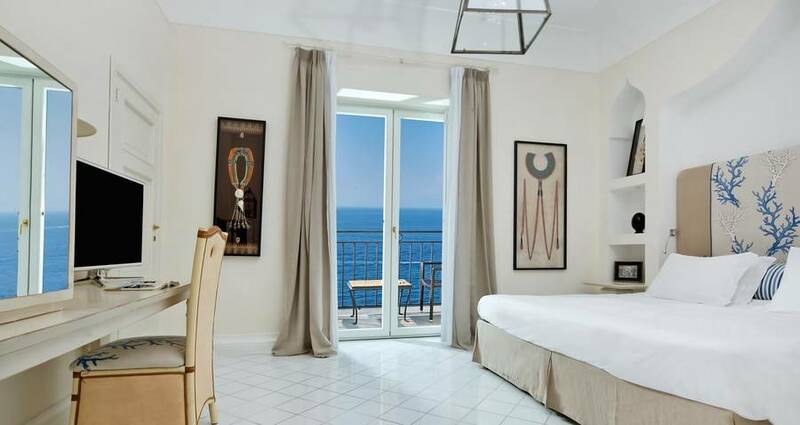 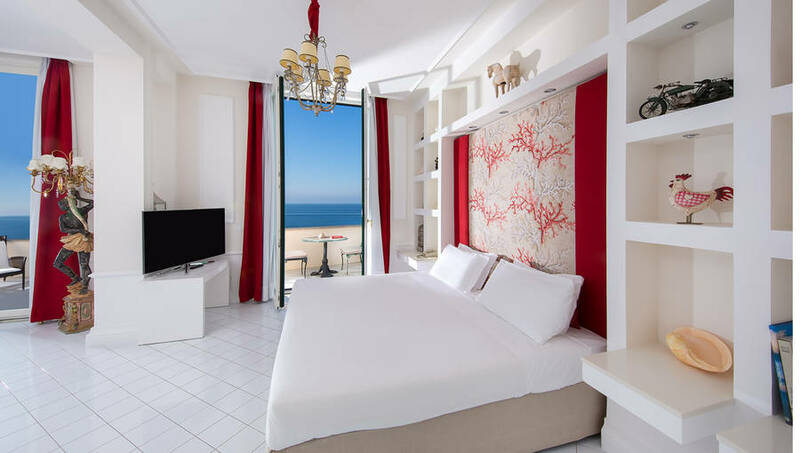 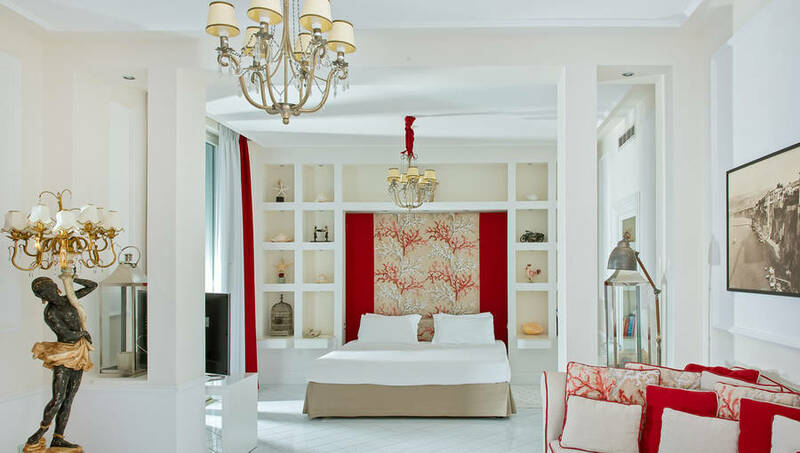 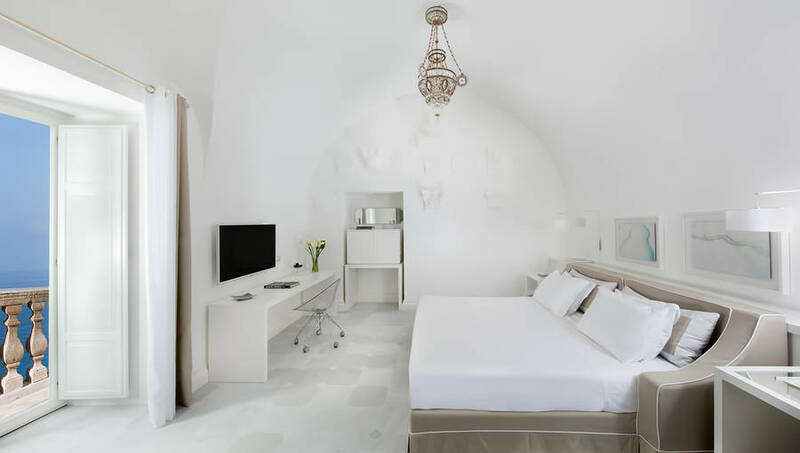 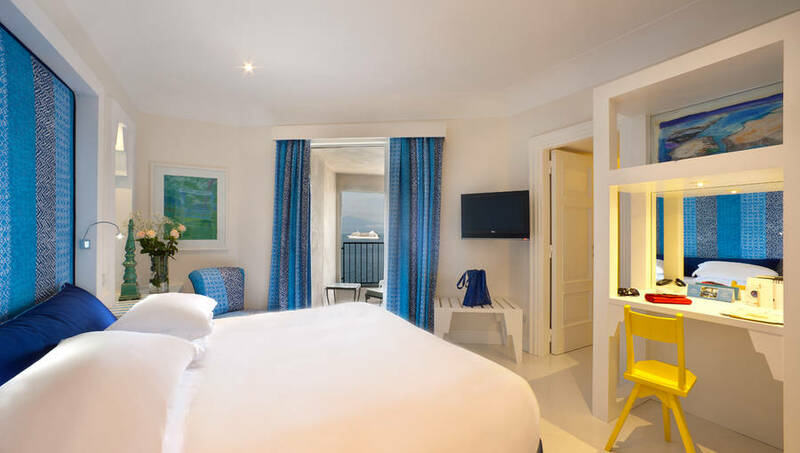 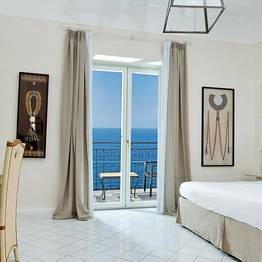 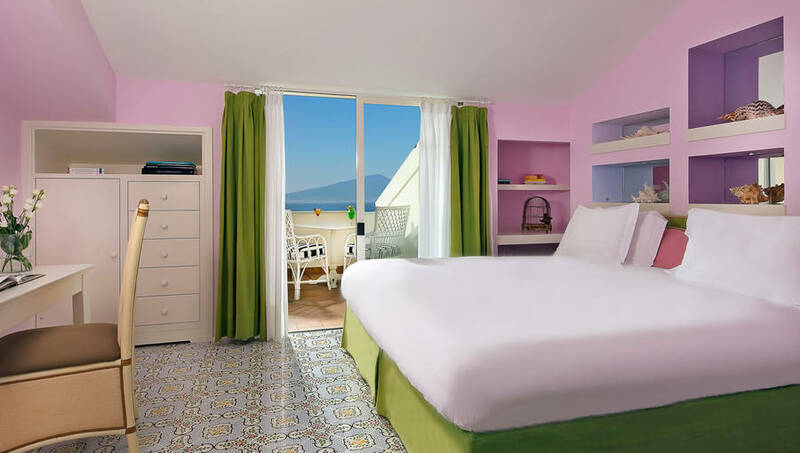 All Hotel Bellevue Syrene's rooms have their own private balcony with sea views, while the luxurious suites feature large private terraces looking out over the Bay of Naples. 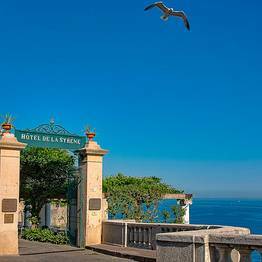 Guests of the Bellevue Syrene can dine in any one of the hotel's restaurants featuring the iconic cuisine of southern Italy. 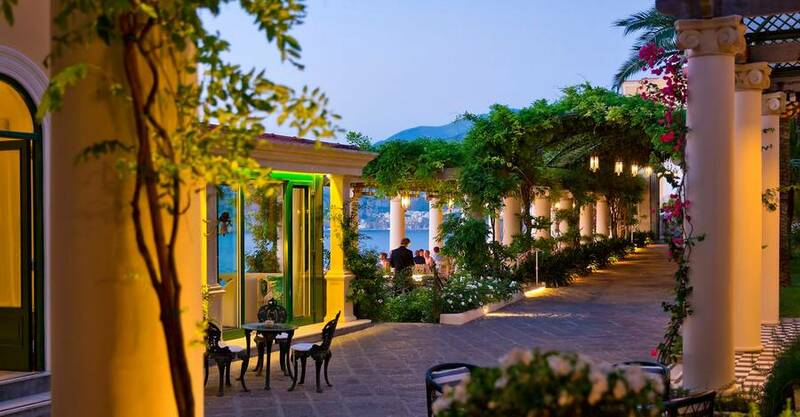 From the bright conservatory of the fine-dining Don Giovanni Restaurant or the welcomingly intimate Gli Archi restaurant indoors, to the Pergola snack and cocktail bar or the romantic Il Pino restaurant on the outdoor terraces facing the Mediterranean, guests can find everything from multi-course meals to light snacks. 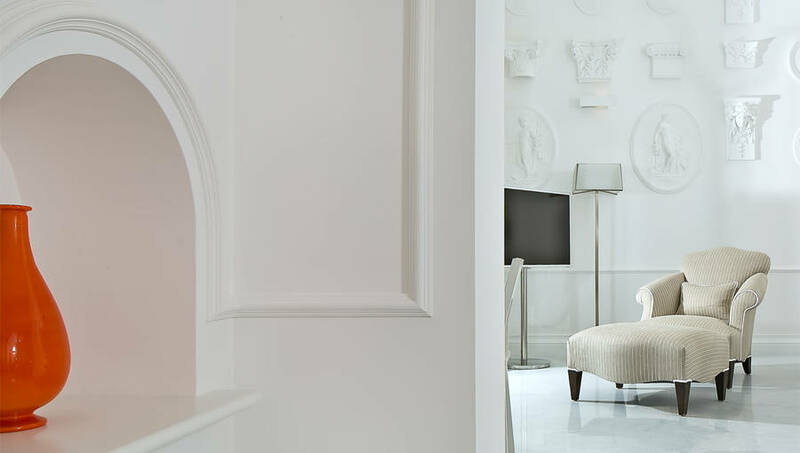 As an exclusive free service to hotel guests, Bellevue Syrene's Club Lounge offers a selection of light snacks, fresh fruit, and hot and cold drinks. 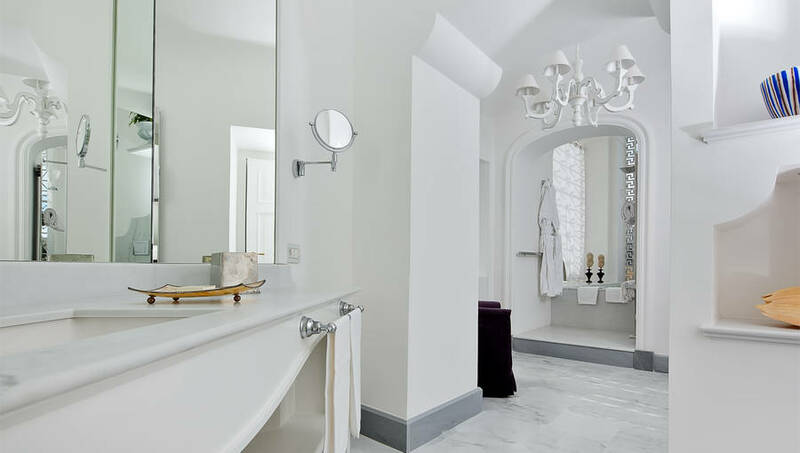 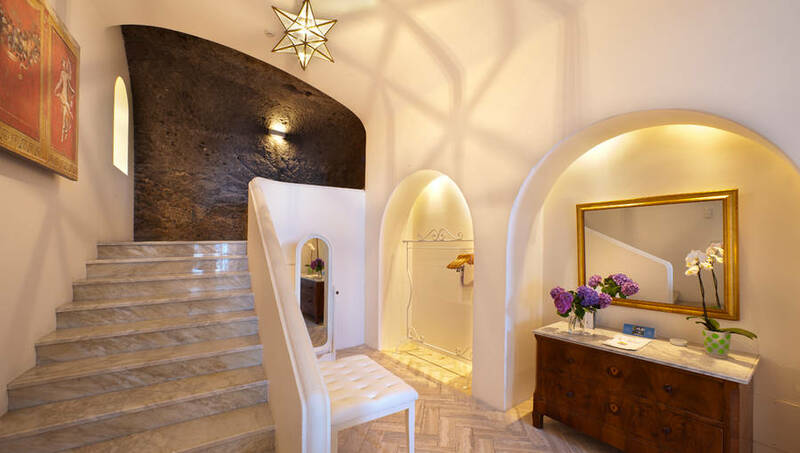 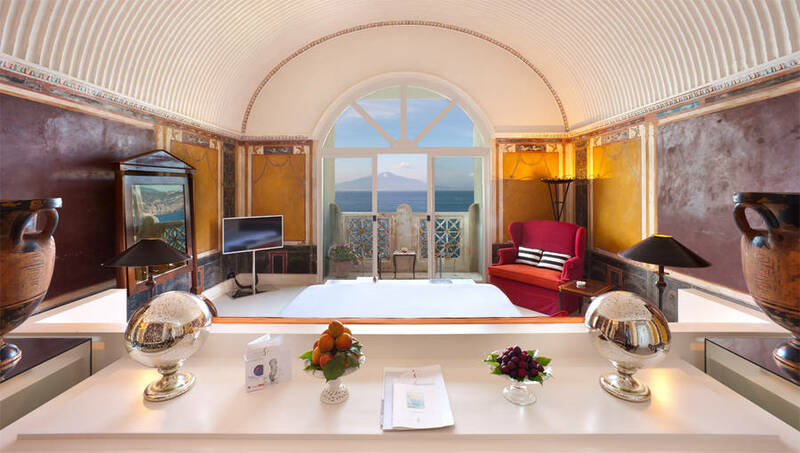 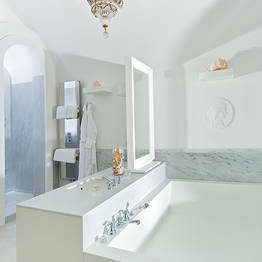 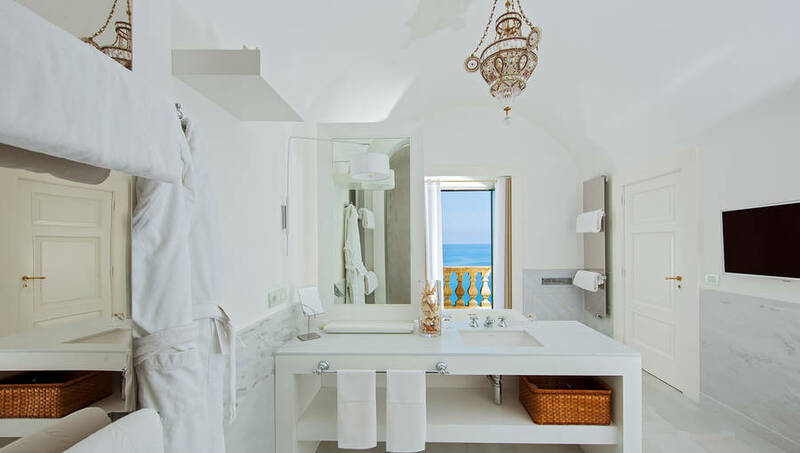 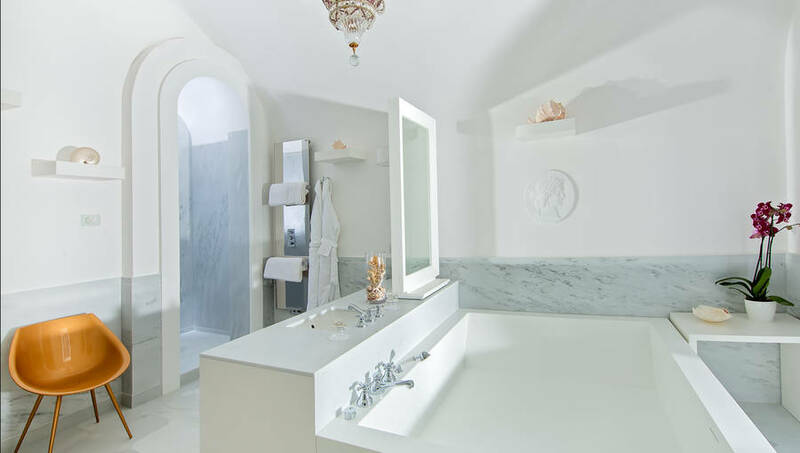 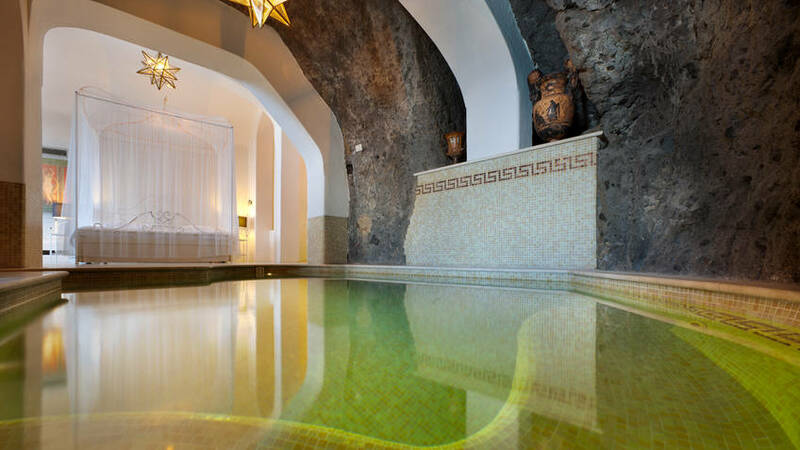 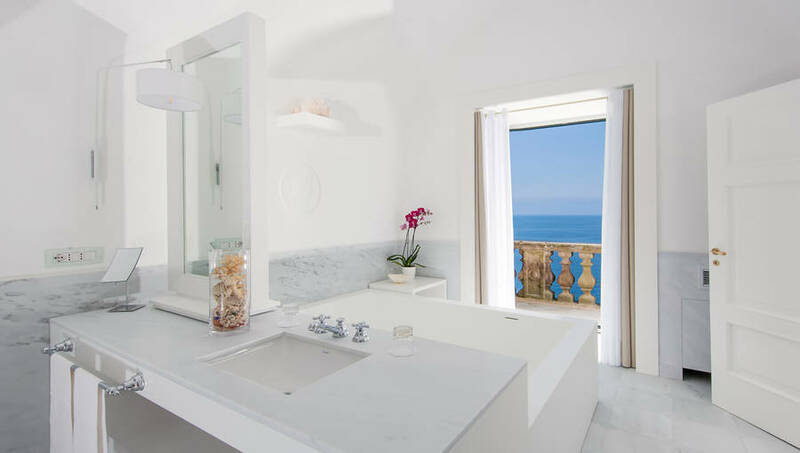 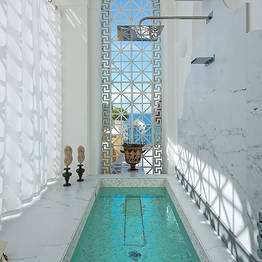 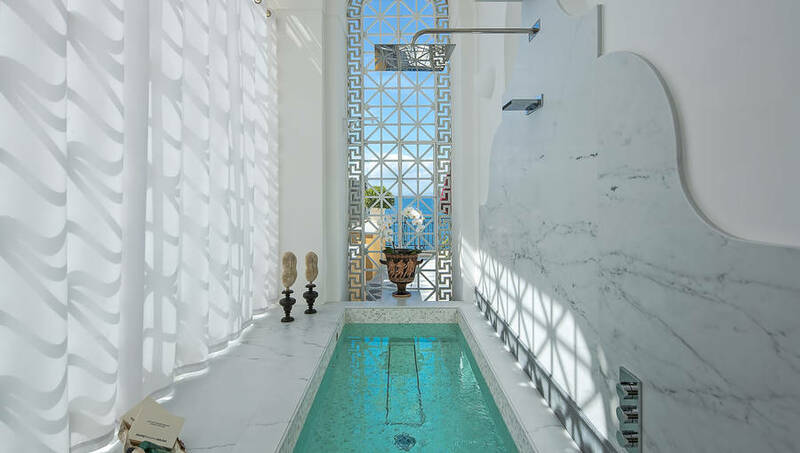 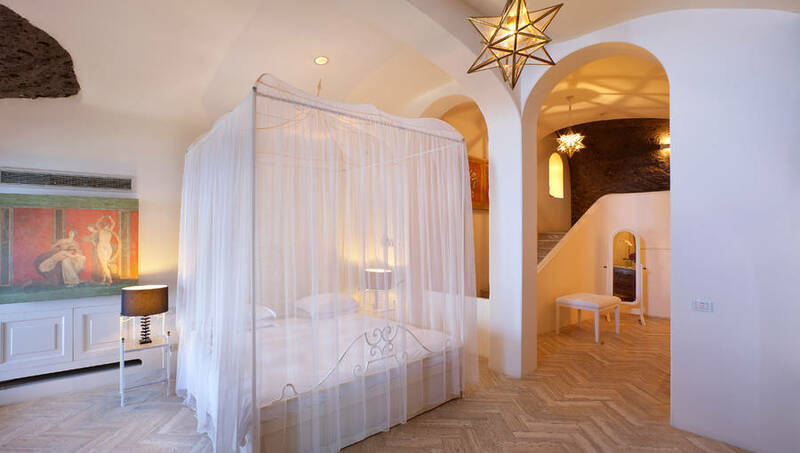 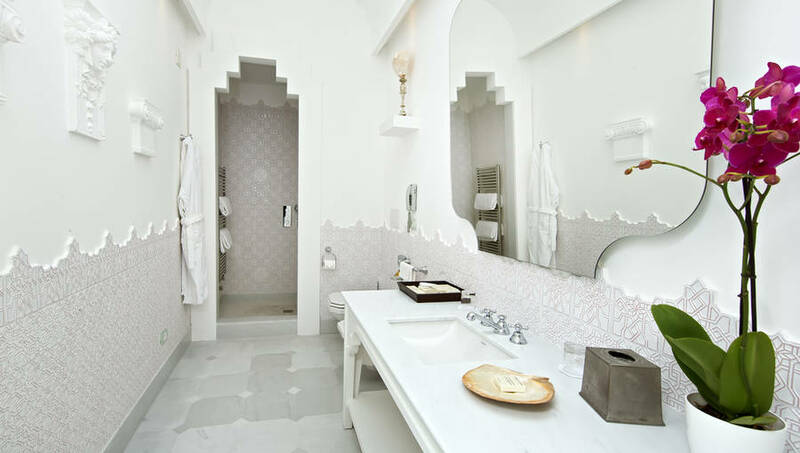 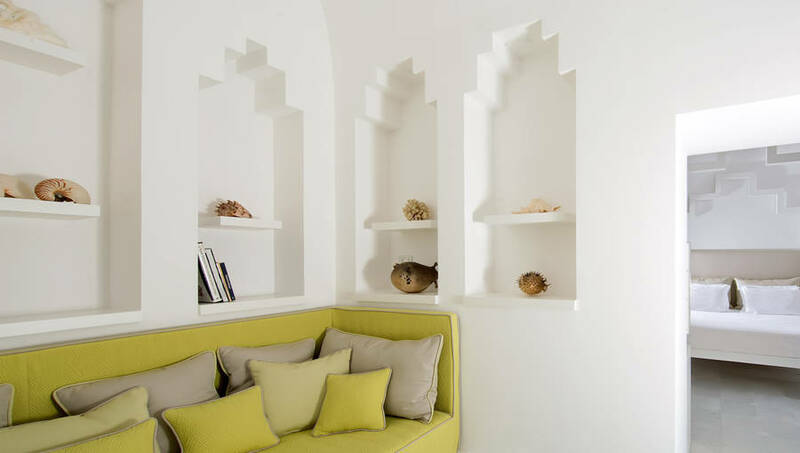 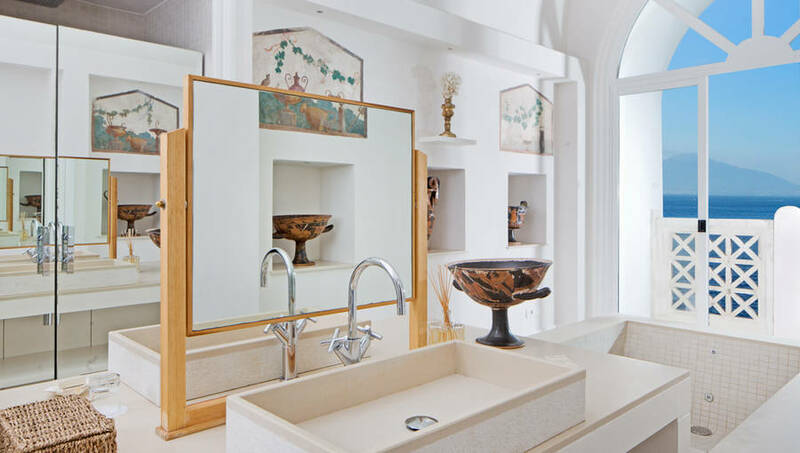 The hotel's full-service spa offers hammam, massage, and an excellent range of face and body treatments, and the Bellevue Syrene's private beach is located on the water's edge directly below the hotel for guests to enjoy the sun and sea of Sorrento. 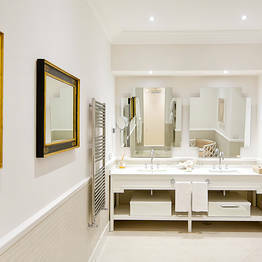 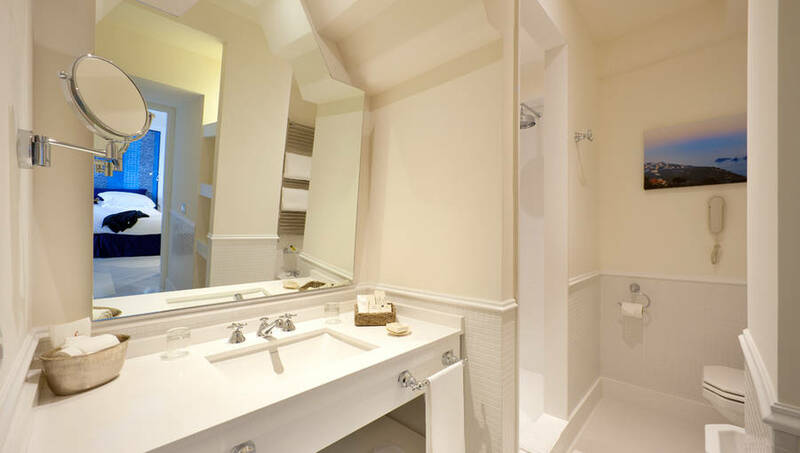 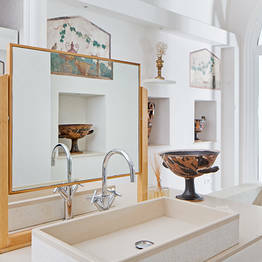 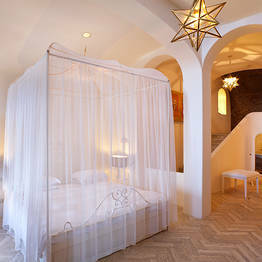 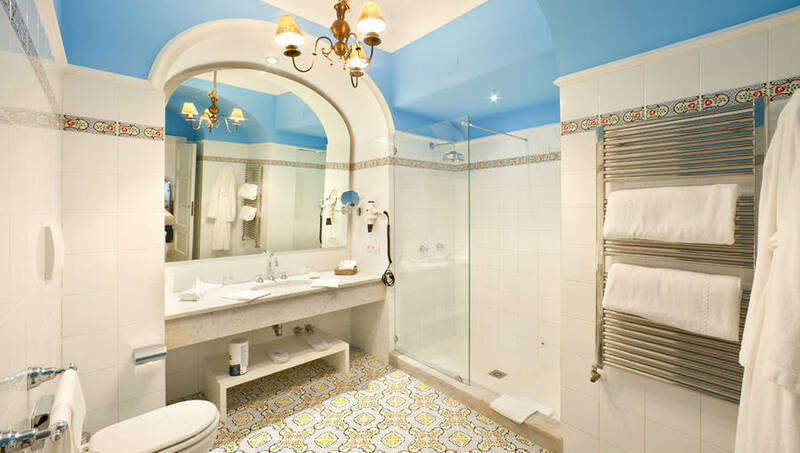 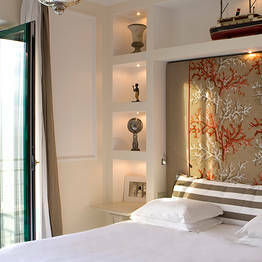 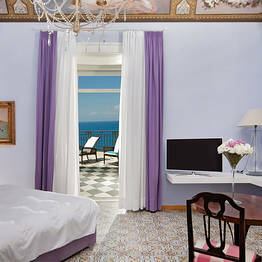 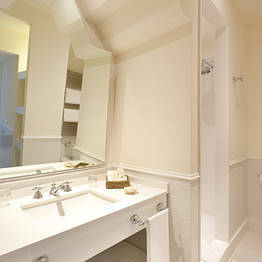 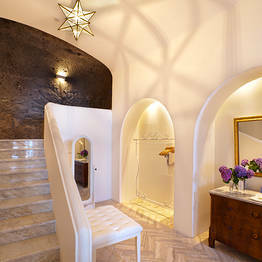 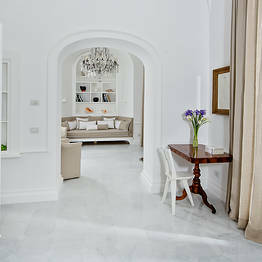 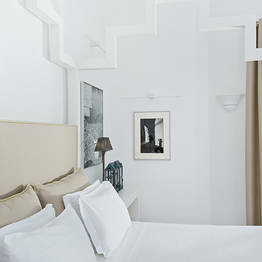 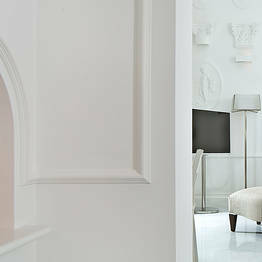 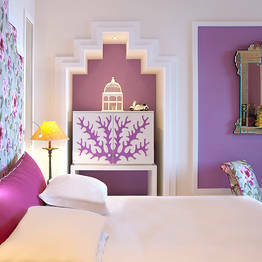 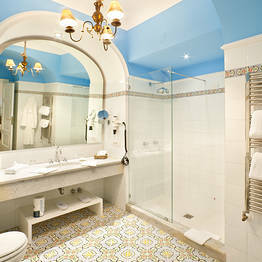 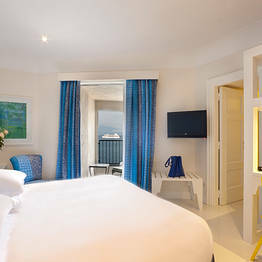 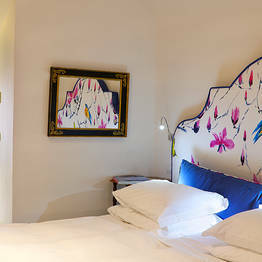 Hotel Bellevue Syrene is located just a few steps away from the center of Sorrento. 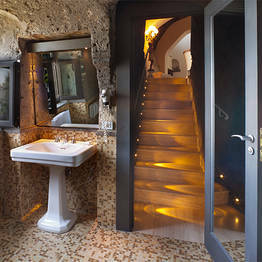 The Cloisters of San Francesco and the picturesque roads of the historic center are within easy walking distance. 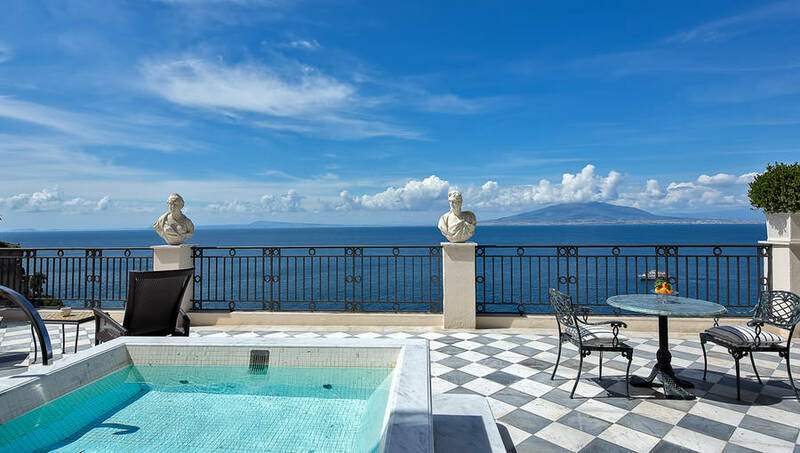 In addition to being a historic seaside resort, Sorrento is an excellent base from where to explore the Campania region too. 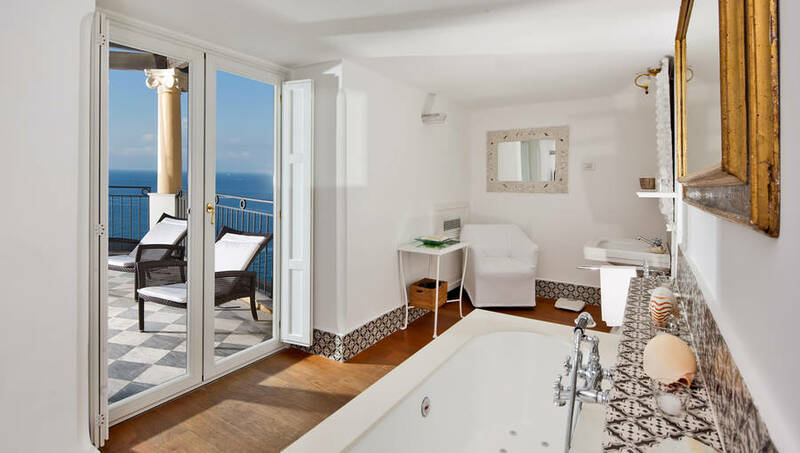 From Sorrento, the city of Naples, the archaeological sites of Pompei and Herculaneum, the Amalfi Coast and the towns of Positano, Amalfi, and Ravello, are all no more than an hour away. 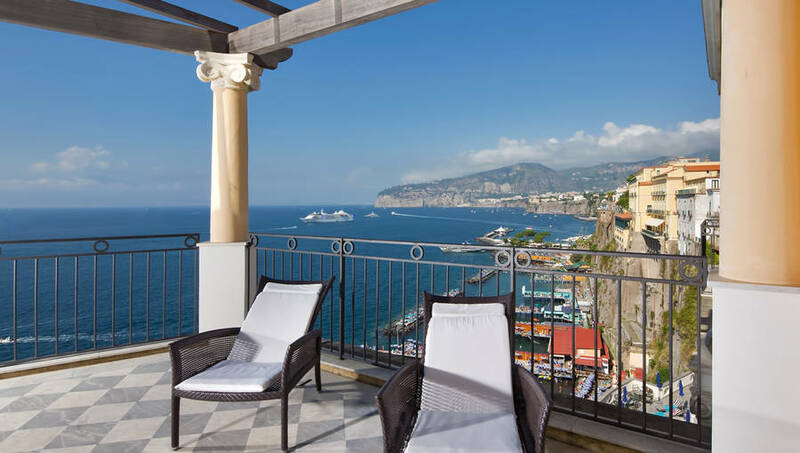 The port of Sorrento, from where ferry boats and hydrofoils regularly depart for the islands of Capri and Ischia, is a mere 5 minute walk from the hotel. 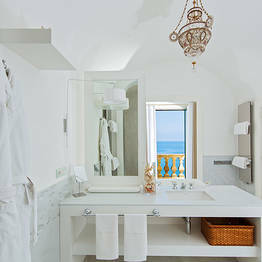 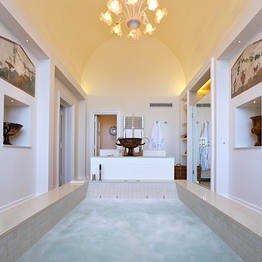 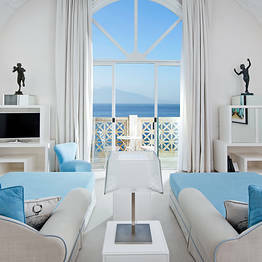 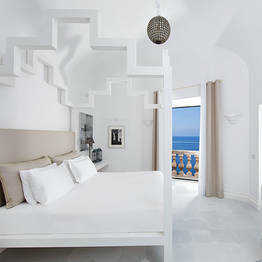 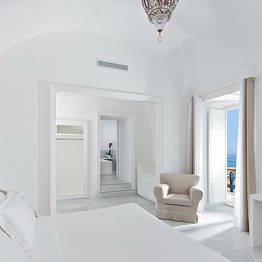 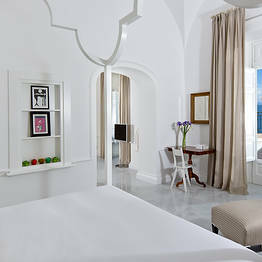 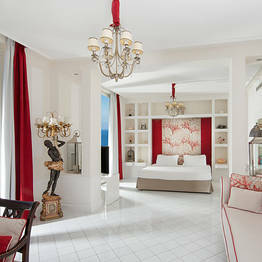 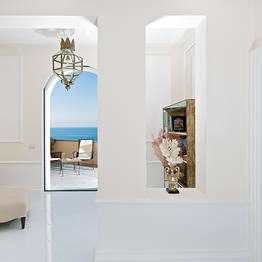 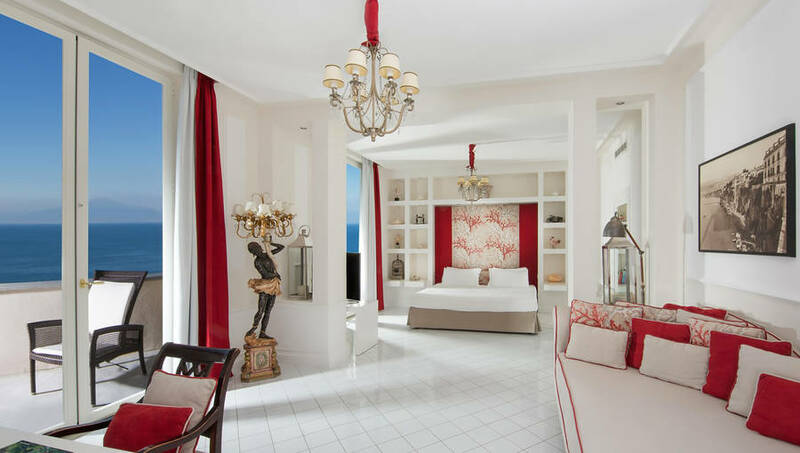 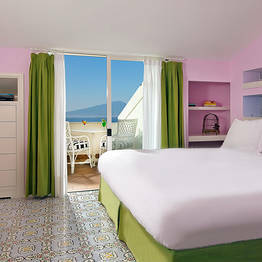 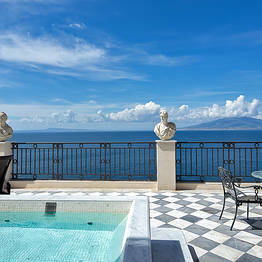 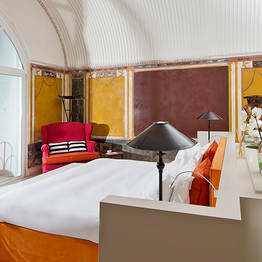 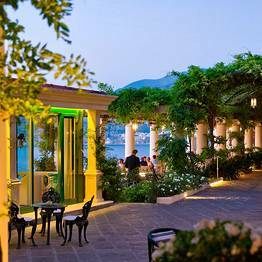 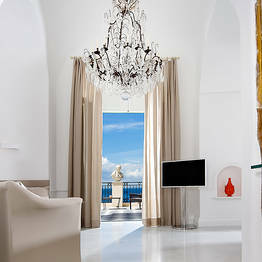 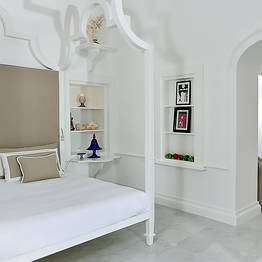 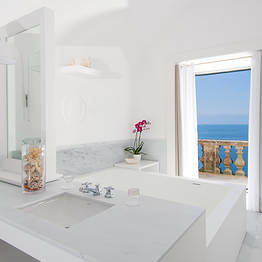 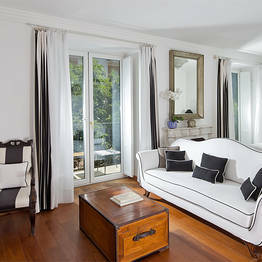 Book Bellevue Syrene on SorrentoInsider now with no additional booking fees.